If you are planning to travel to Venice, Italy in style, luxury and comfort, Paramount Business Jets is the ultimate solution for you. Whether flying internationally or domestically, PBJ has all the tools necessary to provide you the right aircraft for your specific mission. Venice has convenient access to over 8 airports within a 50 mile radius of the city center. The closest of these airports are the Venice Marco Polo Airport (VCE), Treviso-Sant'Angelo Airport (TSF), Istrana Airport (LIPS), and Padova Airport (QPA). 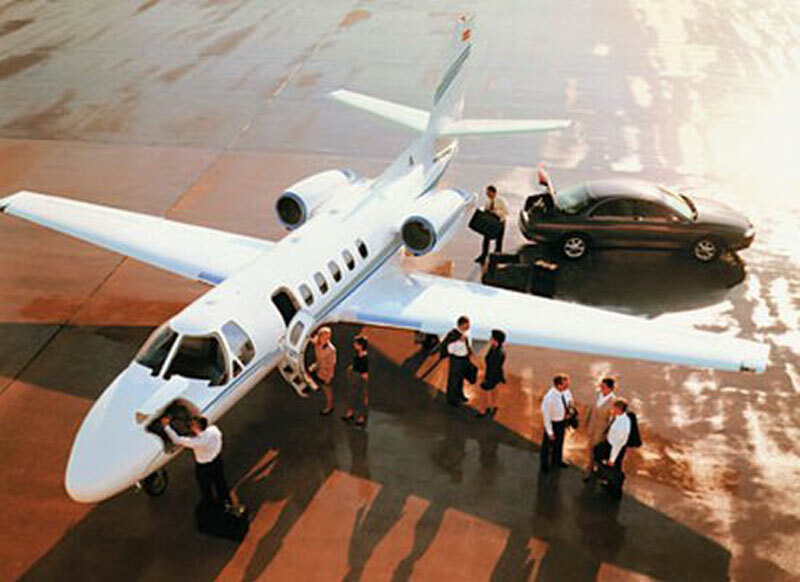 The most common choices for private charter aircraft in the Venice area include the Piaggio Avanti (turbo props), the Citation II (light jets), the Hawker 800 XP (midsize jets). Additionally, we provide access to luxury VIP airliners such as the Boeing Business Jet, Airbus ACJ318 Elite, and Airbus ACJ320 Prestige, as well as the ultra long range jets such as the Falcon 7X and Global Express XRS. For those who are interested in saving as much as 50 percent off regular charter prices, PBJ offers daily updated empty leg flight database to search for one-way flights. Contact us via our online private jet charter form, via email at charter@paramountbusinessjets.com, or by phone at 1-877-727-2538. Venice is a city in northeastern Italy, situated on a lagoon of the Adriatic Sea. The capital of Venetia region, Venice is a major commercial, cultural and tourism centre of Italy. Venice spread over 118 small islands that are separated by a series of over 150 canals and linked by 400 bridges. Venice was founded in the 5th century by the sea farers and the Roman refugees, and became a major maritime power during the Middle Ages and Renaissance periods. Venice was an important commercial center which was renowned for fine manufactured goods, silk, and spice trade industries. Venice flourished as a center of arts in the 13th century up to the end of the 17th century. Thought by many to be a city of love, people travel from all over the world to experience the unique culture and nightlife of Venice. Venice is often referred to as the "City of Water", "Queen of the Adriatic", "City of Bridges", "The Floating City", and "City of Canals" and is regarded as one of Europe's most romantic destinations. Popular tourist attractions in Venice include the Grand Canal, St Mark's Basilica, St Mark's Basilica, Confraternity of St. Roch, Basilica of San Giovanni and Paolo, Basilica of St. Mary of Salvation, and Church of St. Sebastian. A trip to Venice is not complete without taking a ride on a gondola down the Grand Canal, taking a tour through the Marciano Museum, or enjoying a visit to the Doges Palace. Venice is famous for its restaurants and cafes lining the canals' banks and if time permits you should take a water taxi to the Murano Glass Factory where the master glass blower uses secret minerals to make some of the world's most expensive glass sculptures. Venice hosts a number of prestigious international festivals and events, including Venice Biennale and the Venice Film Festival, which draws visitors from all over the world.